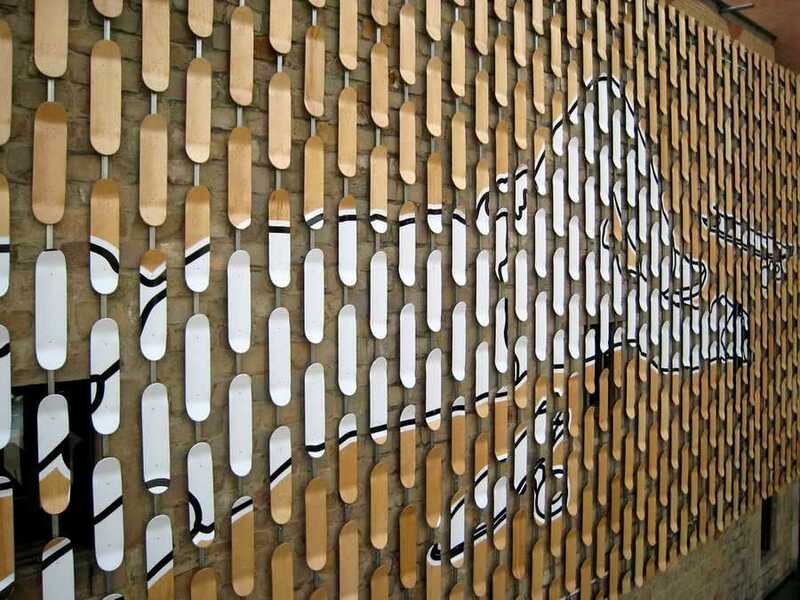 There is no doubt that the world of skateboarding has influenced graphic design. To give an example for several months you could see on the facade of the FAD, the Plaça dels Àngels (in front of the MACBA), the winning mural of the Diesel Wall contest, “The Death of the Skater”. This big format installation build over more than 400 skateboards is the main attraction for a series of creative activities related to the “uses of urban spaces and it’s appropriation by citizens” where various illustrators and graphic artists will participate. An exhibition, a skate illustration workshop, documentary pictures, a public debate, live music and much more to connect graphic design, skateboarding and the co-habitation of activities in the streets of contemporary cities.